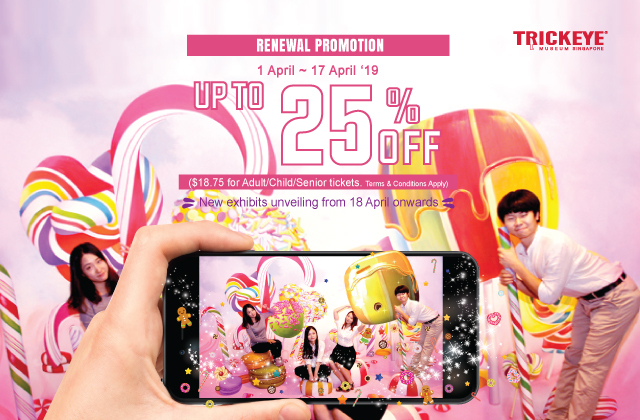 - Standard admission tickets for Adults/Child/Seniors will priced at $18.75 (nett) from 1st to 17th April 2019. - Discount is valid for onsite ticket purchases made at Trick Eye Museum Ticketing Counter only. - Valid for full priced admission tickets only, and not for combos or packages. - Tickets purchased must be utilized on the same day, strictly no extensions or change in dates. - No exchanges or refunds can be made once tickets are sold. - Not valid with other promotions, discounts or privileges.  - Not applicable to trade, travel agents or tour guides. - Trick Eye Museum management reserves the right to amend the terms and conditions at any time without prior notice.